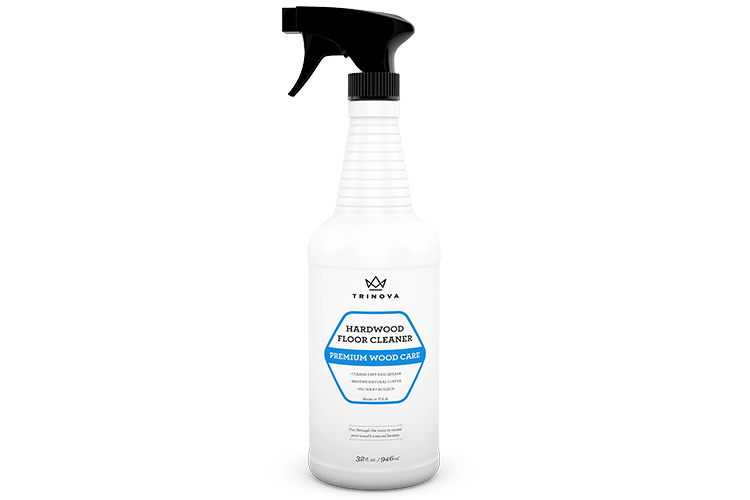 TriNova’s Hardwood Floor Cleaner is specially engineered to remove dust, dirt and other contaminants from hard wood flooring including all oak, cherry, maple, laminated, bellawood, wooden, vinyl, walnut, bamboo, orange surfaces. Works with a mop system or spot clean by spraying and wipe in a small area. Remove loose debris by sweeping or vacuuming. 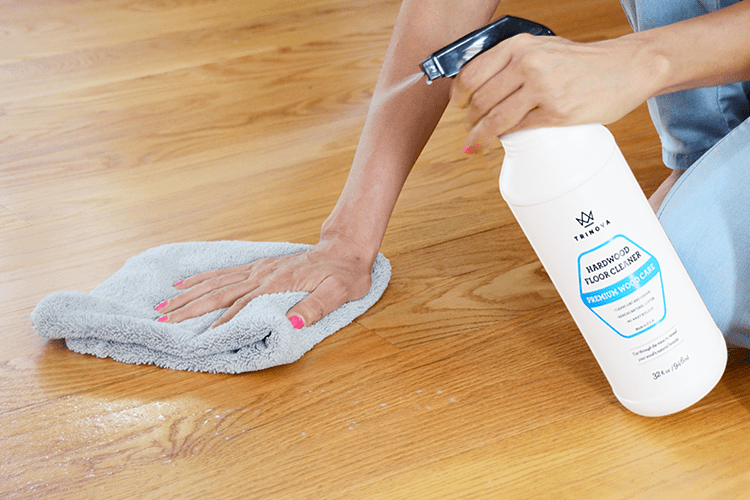 Spray product directly onto the floor. Spread evenly with a clean, damp mop. Allow 10-15 minutes to dry. TriNova® Hardwood Floor Cleaner is rated 4.9 out of 5 by 100. Rated 5 out of 5 by Needymoore from Great product I got this product free to sample for my honest opinion. I received a full size bottle - not a small sample as expected. The bottle came sealed with a spray attachment to use as needed. It has a clean slight smell of soap - not overpowering, refreshingly clean. 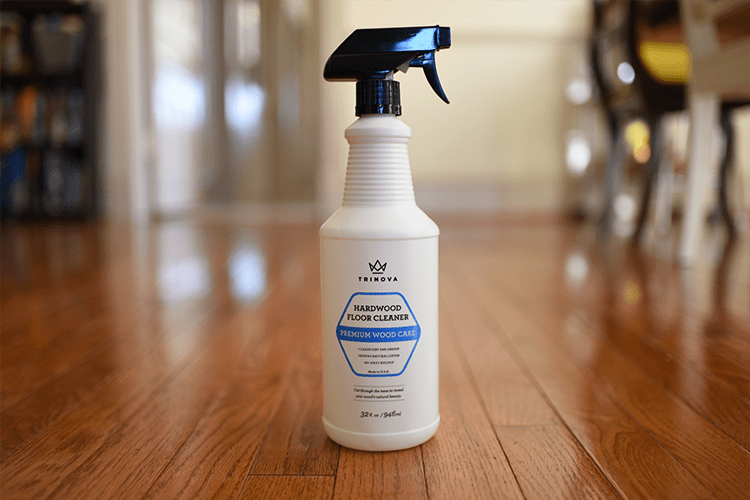 The cleaner is water based , clear and no strong chemicals. It removes dust,dirt,and grim really well . It left my floors clean,shiny, and fresh smelling. I have also used this product for anything wood - cabinets & tables etc. The spray attachment is very useful for quick clean ups & small jobs. I really enjoyed this cleaner & I would love to try other products from this brand! Rated 5 out of 5 by boxercat23 from Works wonderful! 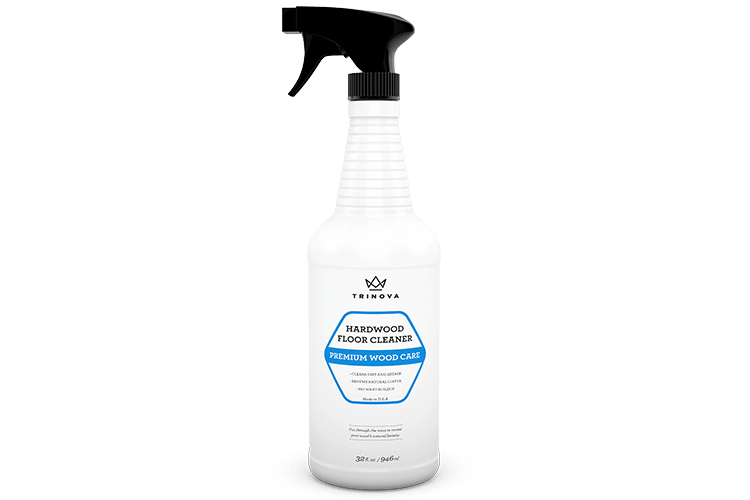 I have used a lot of hardwood floor cleaners looking for the one that works the best and TRINOVA tops my list! As people with hardwood floors know, you can see dust and dirt on them and they need to be cared for like any other floor surface. And I look for something that does not leave a build up, residue, too much shine and works! This checks all the boxes! I do have a lot of hardwood so i used a microfiber flat mop rather than a cloth. It dried fast, the floors looked clean!! And it was easy! I recommend this to anyone with hardwood, it comes as a spray so if you are doing smaller areas or cabinets- wonderful! 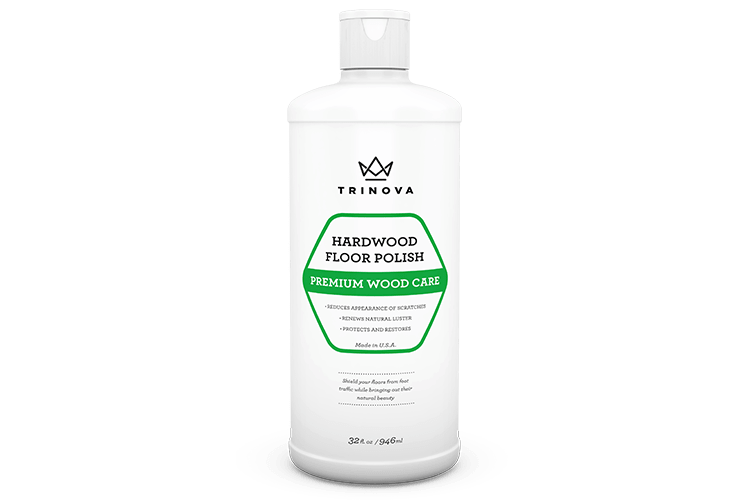 Rated 5 out of 5 by jojo from Trinova Hardwood Floor Cleaner I'm really pleased with the results of my floors after using Trinova Hardwood Floor Cleaner. 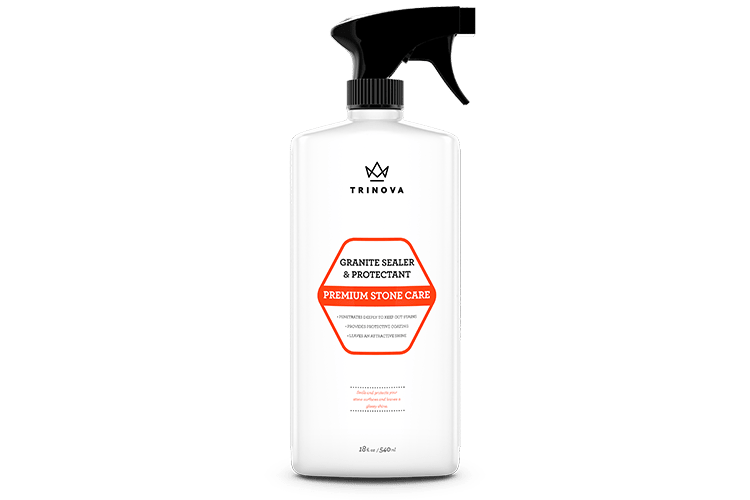 I saw a definate difference in shine and clean after using this product! It was really easy and quick to use. In one area of my wood floor that was scratched, it seemed to dull and diminish it so it wasn't as apparent. 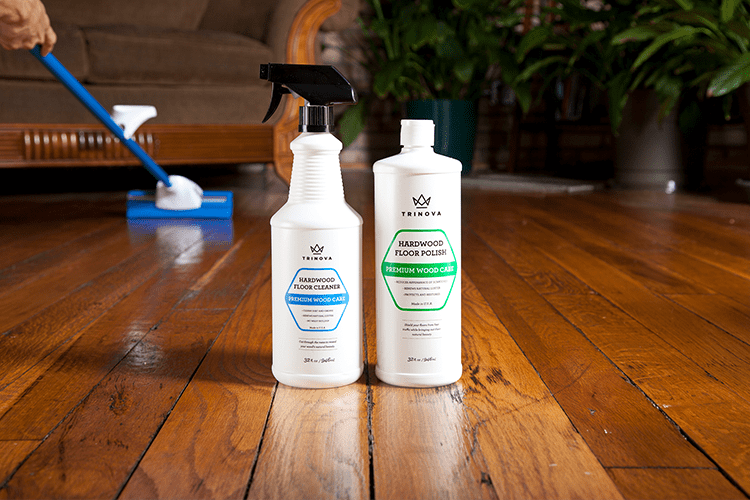 It worked great not only on my wood floors, but also on my tile and laminate flooring. Look forward to cleaning my floors again! Looks especially nice when the sun shines thru the window and reflects a beautiful floor! Very happy! Rated 4 out of 5 by Amandalrusso04 from Great product! The hard floor cleaner that I received wasn't what I initially requested to receive to sample. Maybe I did something wrong when I applied to sample but I thought I was going to receive a countertop cleaner sample. I do not have hardwood floors in my house but luckily my in-laws do. I brought the floor cleaner over to them to try out and my mother-in-law was kind of happy with the outcome. She tried it a few more times and said with more use she believes her hardwood floors would continue to look better and better. Overall my mother-in-law and myself really did like the hardwood floor cleaner. Rated 5 out of 5 by Dina from Floors look brand new So I was lucky enough to get this as a free trial. I have hard wood floors through my whole house. I was surprised not only by how amazing it smelled but by how incredible the floors looked after we used it. I've noticed with other cleaners after they dry they become dull again like you never used anything or they have a filmy residue, this was not the case. I was very satisfied with the product I have already showed people the difference its made and would and have recommended it. Thank you again for letting me try it . I will definitely be ordering some when I run out.